The world is a busy place. Everything is crowded. Everything is loud. The sun is beating down and kids outside are screaming. Their parents scream back. Everyday there seems to be more traffic. The drive to work feels long. The drive home feels even longer. They're screaming again. It never ends. No wonder why I always have a headache. Speeding cars, honking horns and smog filling the air while our lungs cry for help. This is the world I live in, the world I have lived in as far back as I can remember. I was born into a world that was in a hurry, and it's only getting faster. This is all I know. It's hard to believe there was a time before man. A time when the landscapes were barren and the only thing visible in the skyline was the sky itself. The only sound comes from nature and the animals that occupy the land. The sun is beating down but they are calm. The apes are peaceful. Civilized creatures in an uncivilized world. The monolith. It stands there in front of them, in the middle of nowhere. Where did it come from? Why is it here? The sun disappears behind it and the world suddenly seems darker than it did before. It sparks a change in them. It brings forth an anger that they had never felt before. They become aggressive. They become violent. They start to evolve. Millions of years later, Dr. Heywood Floyd makes a temporary stop at a space station before reporting to the Clavius outpost on the moon. He is asked about the rumored problems at the base but he has no answers for them. The word is an epidemic of sorts. The word is a lie, a cover story to maintain the secrecy of the truth. The truth is they found something. A monolith on the moon. Floyd and a group of others travel to the monolith and the music playing as they approach on foot is spine tingling. The imagery is haunting. This is one of my favorite scenes in the history of cinema. The light of the sun hits the monolith and a high pitched sound reverberates through the minds of these men. The sound pierces them in a way that overwhelms them with pain. Something is happening but we can't possibly no what. The evolution continues. On board the Discovery One, Dr. David Bowman and Dr. Frank Poole are headed for Jupiter. 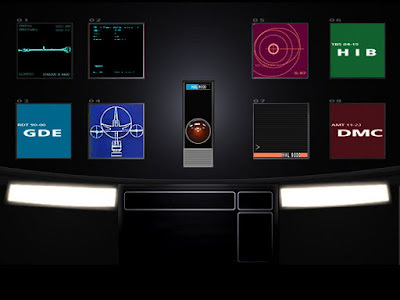 They seem relaxed on the mission, with the ship's computer, the HAL 9000, in charge of ensuring their journey is normal and safe. He may be only a glowing red light and a voice, but he feels like he is part of their crew. He says he is incapable of error. They call him Hal. His behavior becomes erratic. Strange. A computer that self proclaims to be perfect and yet imperfections begin to show themselves. Is Hal failing or calculating? Are these mistakes or the work of a machine that has evolved enough to formulate malice? Dave and Frank speak in private. They don't want Hal to hear. Dave says he is unsure whether or not Hal is capable of actually feeling, of having the emotional response of a human being. When Hal expresses genuine fear, it is a certainty. It's hard to believe there was a time before man as we approach the conceivable possibility of a world after man. A world where machine not only matches but surpasses man. A world where Hal is a foe rather than a friend. When Dave sees the monolith in person, the Star Child is born. The evolution is complete. One of the most fascinating, brilliant and profoundly beautiful films ever made. One of the greatest films ever made. The definition of the word masterpiece. 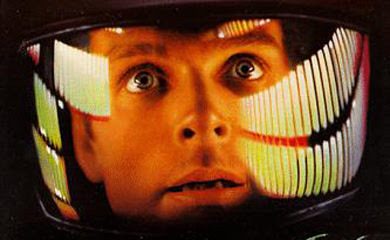 It's hard to believe there was a time before the world had seen 2001: A Space Odyssey. 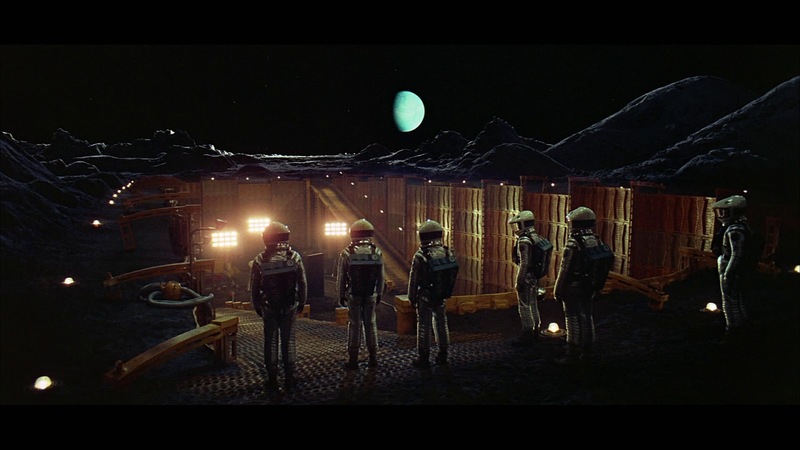 It's hard to believe there was a time before the vision of Stanley Kubrick was illuminated on the big screen. Thankfully, I never had to live in that world.